Developer Dilip Barot, the founder of Creative Choice Group, is building what he calls an “urban destination spa resort” on Singer Island in Palm Beach, Florida with a 100,000sq ft ESPA spa. 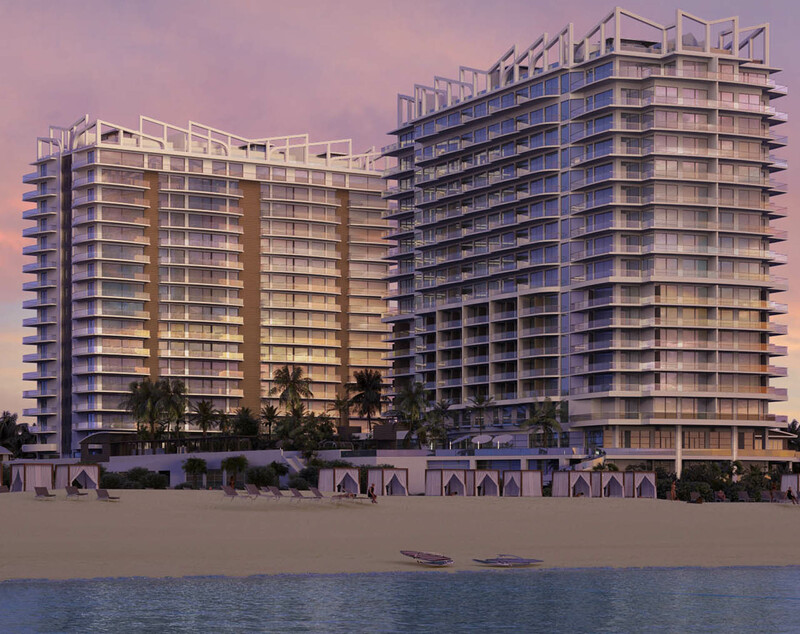 Spread across seven acres on the Atlantic shoreline, the Amrit Ocean Resort & Residences will have a focus on wellness lifestyle, taking inspiration from Patanjali yoga, and is due to open in 2019. The one million sq ft development, designed by S&E Architects with interiors by Bilkey Llinas The design will focus on mindful living, bringing Eastern traditions of inner science together with Western luxury. bedroom at a customizable wake-up time. Tower H (Happiness) will offer a hotel/residential mix and will house the 100,000sq ft ESPA spa, which will include both indoor and outdoor yoga studios, a meditation garden, whirlpool spa, private beach club with cabanas. Barot hopes to help guests and residents “achieve a personalized roadmap for wellness,” he said, by giving them both the knowledge and support system to live a good life. Different transformational programmes will be available for three, four or seven days, which will include a personalized wellness assistant that guests can follow-up with; for Amrit residents, the wellness assistant will come as part of the package. Amrit’s lifestyle experiences and customized programming will be focused around the five pillars of wellness and a selection of integrated experiences will address sleep deprivation; nutrition and diet; relaxation and de-stress; personal training, fitness, and sports rehabilitation; beauty treatments, weight management and more. “Amrit will be a lifestyle choice of escapism from the current everyday stresses, focusing on mindfulness and prevention without the use of medical intervention,” said Barot. Topics include gut health, ayurvedic recipes highlighting the benefits of spices, inner organ strength, yoga nidra for better sleep, blue light education and more. The resort will offer space for events of up to 200 people, with an eye towards providing wellness education, lectures, and retreats.